Whether you’re photographing city surfers in Munich, gravity-defying skaters at London’s South Bank or a Lisbon street at sunset, with the right equipment you can share spectacular photos instantly with your friends and followers. With our kit list ideas you can switch from posting everyday smartphone snapshots to sharing truly creative images that’ll stand out in friends’ timelines and get them talking. Canon’s latest DSLRs, mirrorless and advanced compact cameras make it quick and easy to post expert quality images on Facebook, Instagram, Flickr and irista. Or why not try instant printing so you can give prints to friends? Watch the video and see our suggested kit list for instant shooting and sharing. 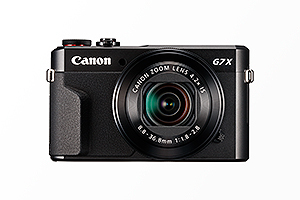 The pocketable PowerShot G7 X Mark II offers expert image quality in any light conditions. It also makes it easy to share your photos and movies using the Canon Camera Connect app. 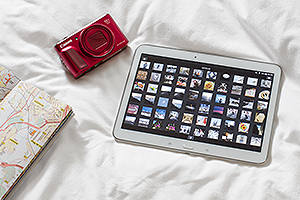 The Canon Camera Connect app enables you to connect your camera to your smart device via Wi-Fi, so you can share your photos and movies easily. And thanks to Dynamic NFC you can connect your camera to a compatible smart device with just one tap. 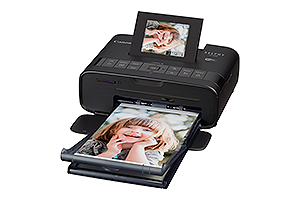 If you want to print your latest photos so friends can keep them (or put them on their wall), check out the SELPHY CP1200. It’s a small, elegant and portable Wi-Fi photo printer that's really easy to use. You can print easily using the Canon PRINT app or via Apple AirPrint straight from a compatible mobile device. With the above kit close to hand, you’ll have everything you need to instantly share special, spontaneous moments with the world – or to print shots on the spot to share with your friends and family.